After a restful night of sleep, it’s time to fuel up for the day. Though sugary pastries might be calling your name, don’t listen. Instead opt for a high-protein, low-calorie breakfast that will not only get you through the morning feeling full but will help you maintain a healthy weight and good blood sugar levels. And a bonus: eating breakfast makes putting the brakes on binge eating easier throughout the day. To all the breakfast skippers in our midst, experts confirm that your morning meal is the most important of the day. 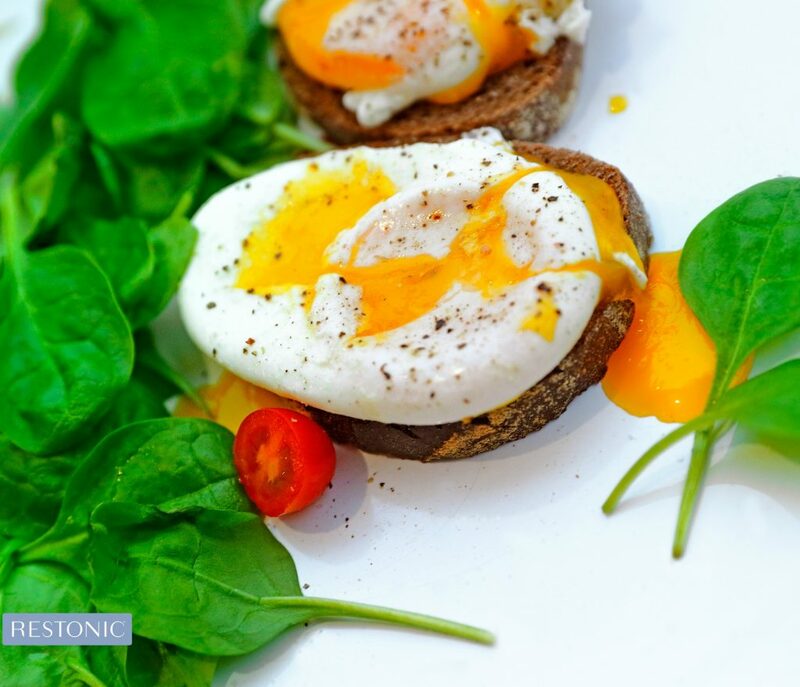 “Breakfast is critical since you’re coming off an overnight fast and your glycogen stores in the liver are depleted,” says Dr. Barry Sears, a leading authority in anti-inflammatory nutrition, author of the Zone Diet book series and president of the non-profit, Inflammation Research Foundation. “Protein is critical to producing satiety at breakfast so that you don’t overeat at lunch or at mid-morning. Put protein in the spotlight at breakfast and you’ll reap the rewards throughout the day. “Protein is important at each and every meal as it takes longer to digest, so it keeps hunger and cravings at bay,” says Kyra Williams, a certified online personal trainer and nutrition expert who has helped women worldwide with online training services and training programs. Eating carbs alone can result in a blood sugar spike, but pairing protein with carbs does not allow that to happen. Instead, blood sugar increases, then decreases, at a steadier pace. “This helps with energy levels, fat loss, mood and overall health,” she adds. 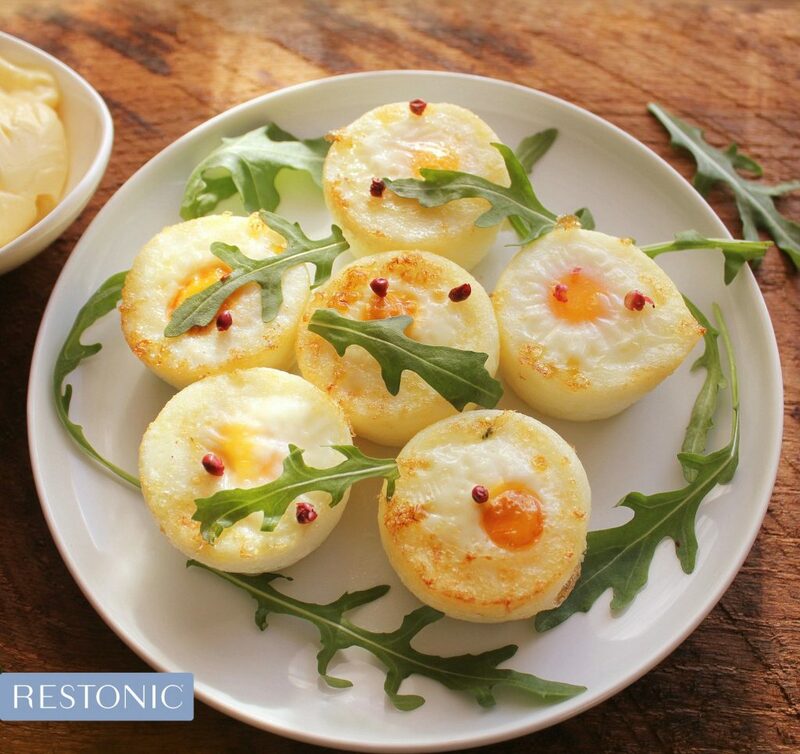 Fry egg and egg whites together any style. Break up spinach leaves and add to eggs or leave as a topping for the sandwich. Toast bread and cut in half. Place paper liners (the same kind used to make cupcakes) in each muffin cup. Beat eggs in a medium bowl, adding turkey sausage, veggies and salt and pepper as you like. Pour mixture into muffin cups. Bake for 18 to 20 minutes – 2 muffins are considered a serving. “Protein provides important amino acids to help boost immunity and keep your muscle tissue healthy,” explains Caleb Backe, a health and wellness expert for Maple Holistics. Some studies have also shown that protein increases your productivity and concentration but skip the protein powder. Eggs—Scrambled, hard boiled, soft boiled, sunny side up, or an omelet. Add fresh vegetables to your dish as well (peppers, mushrooms) to add flavor and added nutrients. Add cheese in moderation. Sausages—Turkey or chicken sausages are a good lean protein in the morning. Stay away from beef since it’s high in fat. Dairy—Greek yogurt with a sprinkle of granola is not only a great breakfast, but also a healthy snack. Add a handful of nuts or seeds or buy a granola mix that contains these. She suggests a quality breakfast to sustain you for the day. They say that we should be eating breakfast like a king and dinner like a pauper. It’s true, yet many of us do the exact opposite, then suffer the consequences. Try a green smoothie (1 cup water or nut milk, large handful dark leafy greens, one scoop protein powder, one tablespoon avocado, 1⁄4 cup berries). Adjust liquid, according to the consistency you prefer—thick or thin. Choose your protein powder carefully since some contain artificial sweeteners. Also feel free to add in herbs, nut butter, or matcha green tea. Another quick option is homemade oatmeal with nuts and apple. Bring to a boil one cup of water. Add in 1⁄2 cup steel cut oats, 1⁄4 apple chopped, 1-2 tablespoon walnuts, 1-2 tablespoons raisins, 1 teaspoon cinnamon. Reduce to a simmer. Let simmer until liquid absorbed. Add in a drizzle of raw local honey. Make a large batch and reheat some for the next morning. Whisk ingredients together and cook on very low heat in skillet. Enjoy! It’s easy to get into a breakfast rut and choose dishes that don’t tick all the boxes for a health meal. You don’t have to give up your favorites, just modify them, say our experts. If you love hash browns in the morning and want to make them healthier, substitute half the potatoes with shredded cauliflower (cooked or raw). “Cauliflower is low on calories, contains a load of vitamins (C, K, B6), fiber, protein and other nutrients,” says global master chef Karl Guggenmos, who collaborates with the culinary medicine program for the Tulane University School of Medical in New Orleans. 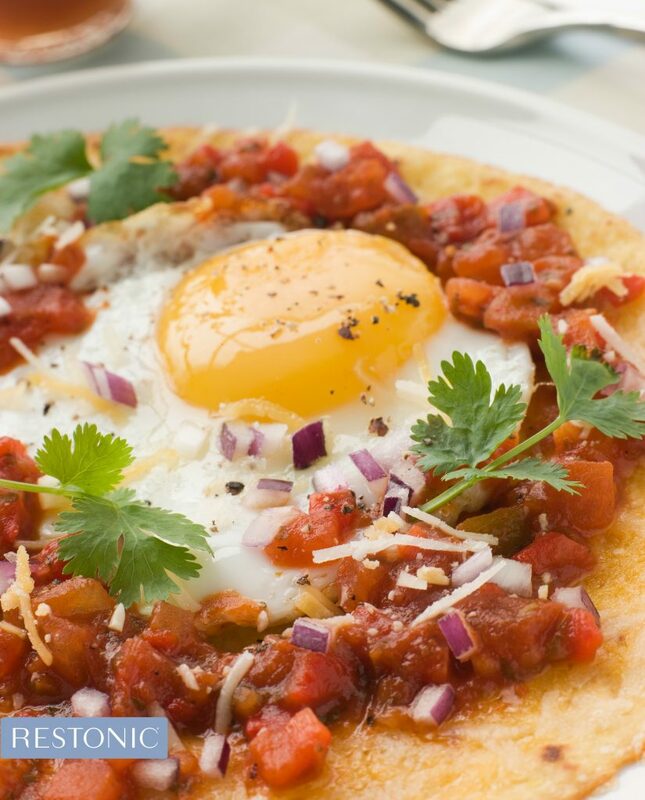 Try a healthy version of huevos rancheros from Beth Shaw, author of YogaLean and Founder of YogaFit Training Systems Worldwide, as well as being a Nutritional & Ayurvedic expert. As she writes in her book YogaLean, the inclusion of eggs in a weight management program may offer a nutritious supplement to enhance weight loss. 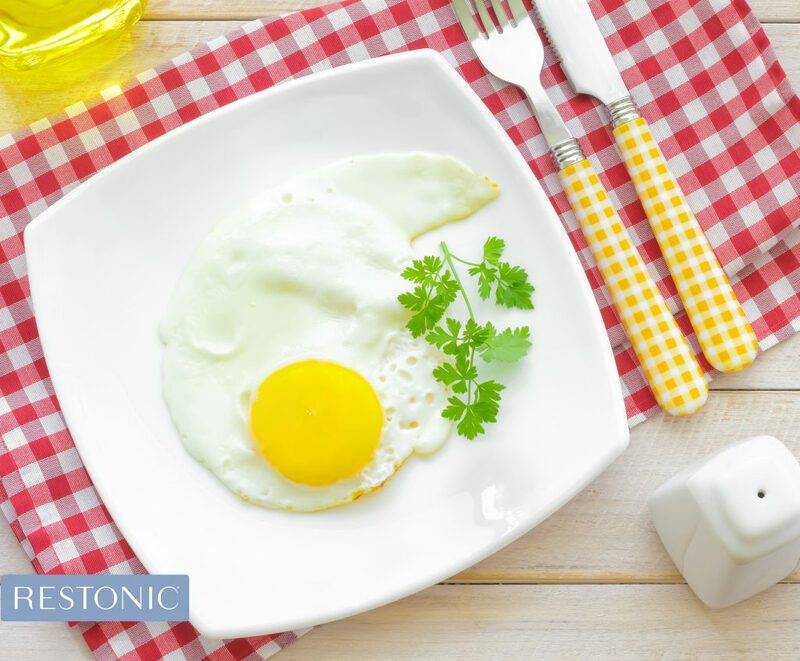 Eggs for breakfast, when paired with beans are a healthy dose of fiber and protein. Heat a large nonstick skillet over medium-high heat. Coat pan with olive oil. Crack eggs into pan. Cover and cook 2 minutes or until whites are set. Place 1 egg in center of each tortilla; sprinkle with pepper. In another pan, heat black beans with pico de gallo and cilantro. Spoon onto each egg and top with cheese, yogurt and avocado. What’s new and trending in breakfast recipes? Neuro beverages announced the availability of the first-ever protein water with 10 grams of high-quality collagen protein per bottle. Neuro Protein is crafted with collagen in the form of a peptide (smaller protein), which leads to hyper-efficient absorption and utilization in collagen-containing tissues. It comes in two flavors: Watermelon Mint and Cherry Vanilla. Other active ingredients in the beverage include fiber, Vitamins C & D, aloe vera and bamboo extract. The beverage has only 50 calories and 2 grams of organic cane sugar. Bob’s Red Mill Muesli Cups are not only delicious, but also low calorie and full of protein. They’re super-fast to prepare. Just add water, milk or yogurt and you’ve got a nutritious and filling meal. There are tropical, paleo-friendly and gluten-free versions. 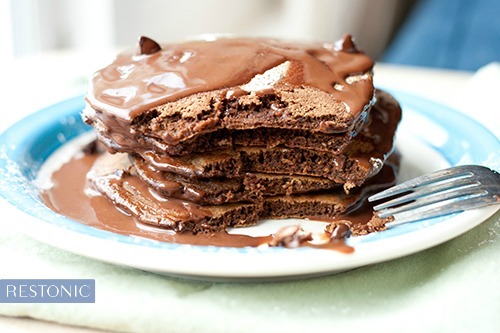 Hungry for more breakfast inspiration?